Probably the biggest thing many hunters want fixed. There's been responses that it's hard to pin down; find someone to pin it down! This is a huge issue and renders the dogs unusable for a good chunk of gameplay. It means hunters have to choose between their dogs, or friends & socialization, sharing equipment, etc. Gaming profits are ALWAYS better when players can play together, and draw in more friends. This is limiting that and should be #1 addressed, imo. 3. Switching dogs reverts them to lvl 1 behavior - Theorized in June 2018; untested to my knowledge, though other players are agreeing with it. There's SOMETHING very wrong with dog behavior in terms of performance and reliability. 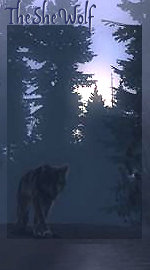 A level 30-odd dog should not be failing half of commands, and half of tracks or retrieves on top of that. It can make for exceptionally frustrating gameplay and may turn people off of buying dogs, and it SEEMS to be linked to the switching out of dogs in inventory. Changing one dog to another seems to drop them back to level 1 ability and behavior. 4. Scent Hounds now use Pointer commands and are bugged - New. The Scent Hounds now have access to Track Rabbits/Birds, but the ability does not function. Their other functionality may have been affected. 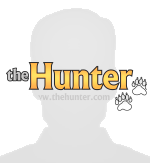 https://forum.thehunter.com/viewtopic.php?f=228&t=66422 - old version. 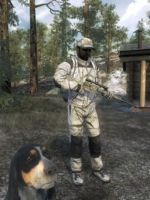 This bug has resurfaced in Scent Hounds & Pointers in the version shown in the image. 6. Pointers lose stamina way too fast - Is this deliberate? The dogs drop from Refreshed to Drained in a medium-length hunt. Compared to Retrievers and Scent Hounds, that is quite poor. 7 & 8. Minor things. There's typos in the German Pointer description ("well trained" and "recieved" instead of "well-trained" and "received"), and the Milk Chocolate verison has a black nose rather than brown (incorrect and actually impossible on a chocolate dog). There's also a typo on the error message "Can't give dog treats right now" where the "treats" has an incorrect apostrophe (displaying as, "Can't give dog treat's right now"). I would be an incredibly happy man if the pointers stamina and the multiplayer issues were addressed! not a real bug, but a bit weird: why can not Labradors carry foxes?